Our DC Roller™s™ travel bag is the only travel bag you will need for any of your missions or travels. 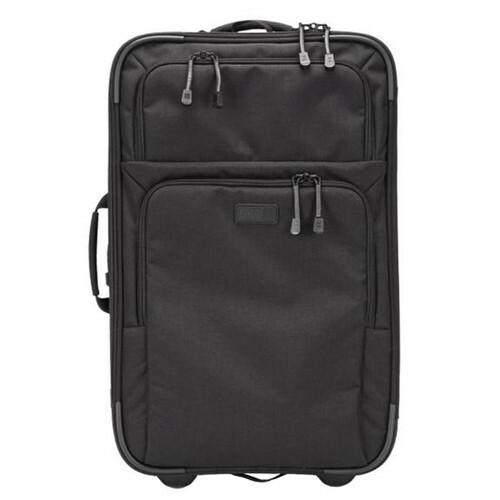 This travel bag is just the right size to fit in an overhead compartment when traveling on a airplane. It is easy to transport even when fully loaded and its design allows quick access when you need your gear. Designed to travel, the DC Roller™ travel bag has all the space you'll need for your gear and clothing. The DC Roller™ also comes with a removable garment bag for your dirty cloths. When you're ready to access your gear, the bag opens up easily for access to the main compartments and pockets. When you are ready to roll, the DC Roller™ travel bag zips up quickly and can be compressed and secured with the zippers. The wheels that have been placed on the bottom allow for you to quickly move your travel bag around the airport with ease and convenience. Inside the DC Roller™ you will find a spacious interior that has neutral colored interior. Additionally you will find a removable garment bag, a shoe and laundry bag, and finally a gitty bag for storing small items. Made with 1050D nylon, this travel bag is designed to last. The DC Roller™ features quality YKK zippers and high impact plastic clasps to ensure the protection and security of your personal gear. As an added feature we've included reinforced edges and sliders to protect your DC Roller™ and its contents. 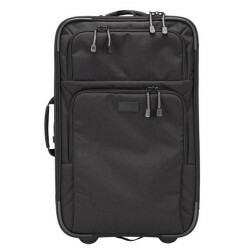 You can be sure that this DC Roller™ travel bag will stand up to the rigors of any of your travels. The quality and versatility of the DC Roller™ Travel Bag make this piece of equipment an exceptional value. Whether you use it as your main travel suitcase for emergency storage, the DC Roller™ Travel Bag will serve you well. Leave it to 5.11 to bring quality, functionality and value to our travel bags.